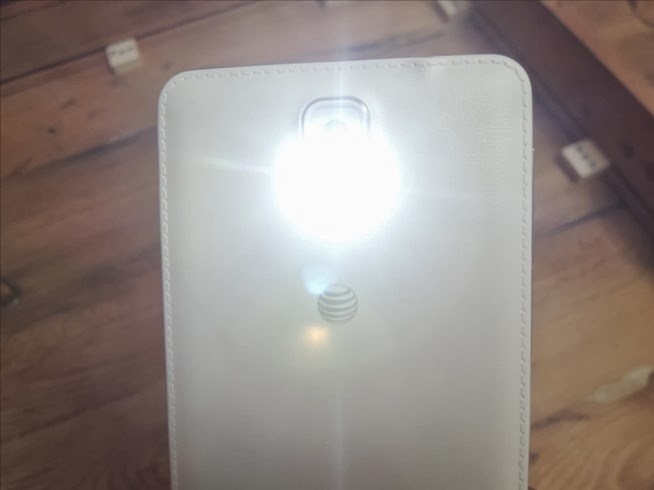 I stumbled on a hidden setting that once activated would allow you to use your Galaxy Note 3 led as a torchlight. The setting allows you to turn on the LED flash at the back by long pressing the Volume Up button. 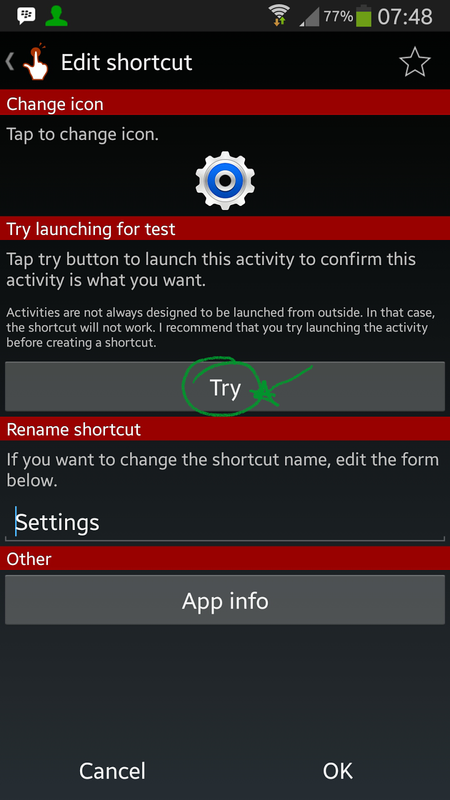 As I mentioned earlier this feature is a hidden feature and can not be found (easily) in the settings menu. 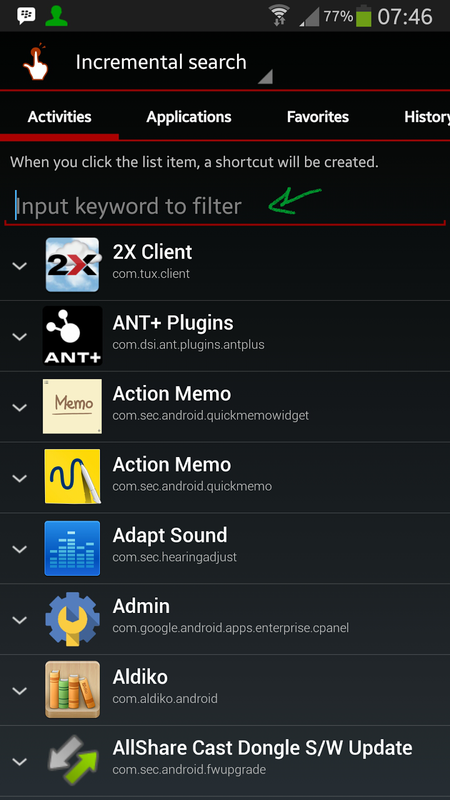 To get this feature on your Galaxy Note 3, you need to follow the steps below. 1. 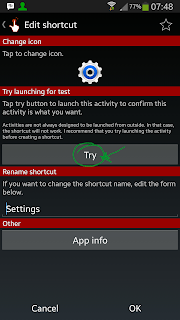 Download and install QuickShortCutMaker from the Play Store. Click on this link to download it. 2. Launch the QuickShortCutMaker app. 3. 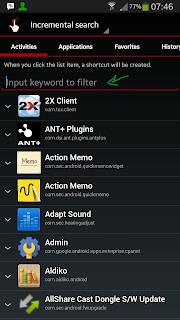 Change the setup to Normal search from Incremental search (I found that the app sometimes crashes when using incremental search). 6. Tap on the first or second options. 8. 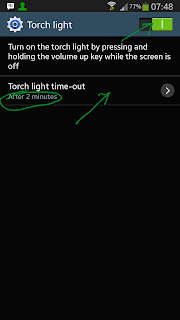 Toggle the setting On (you can also choose a timeout duration for the Torchlight) and then press the back. 9. 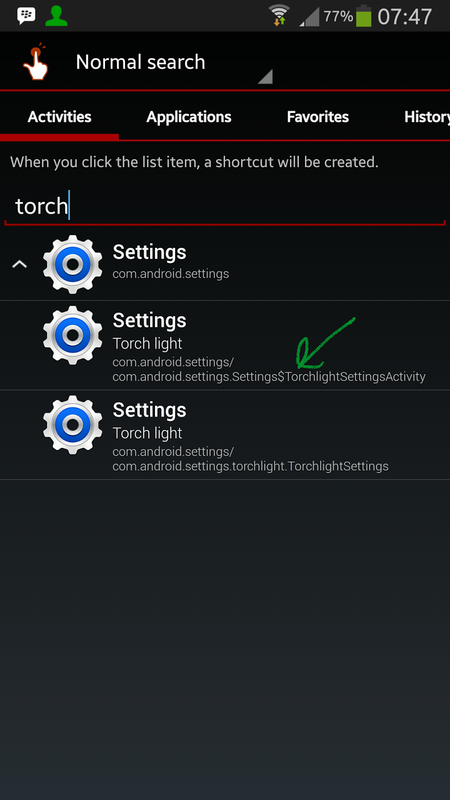 You can then save this setting as a homescreen shortcut by entering a name say "Torch" and tapping on OK.
10. You can lock your phone by pressing the power button. 11. 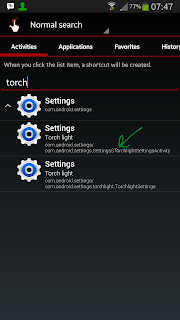 Hold down the Volume Up button to activate the Torch (you can also turn it off by pressing down). Thanks!!! 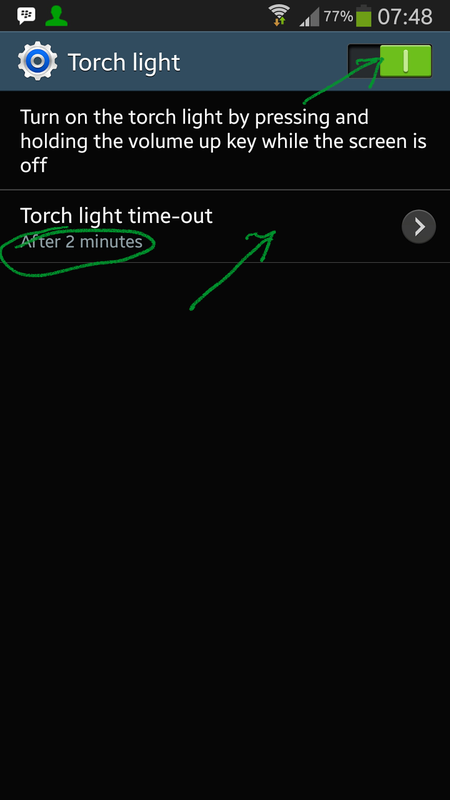 Have Galaxy Note 3 also -- was wondering why that wasn't accessible by default! !